Are you looking to try a beer that is effortlessly drinkable and contains the maximum amount of flavor? This is a great place to start. We love coffee and beer—don’t you? 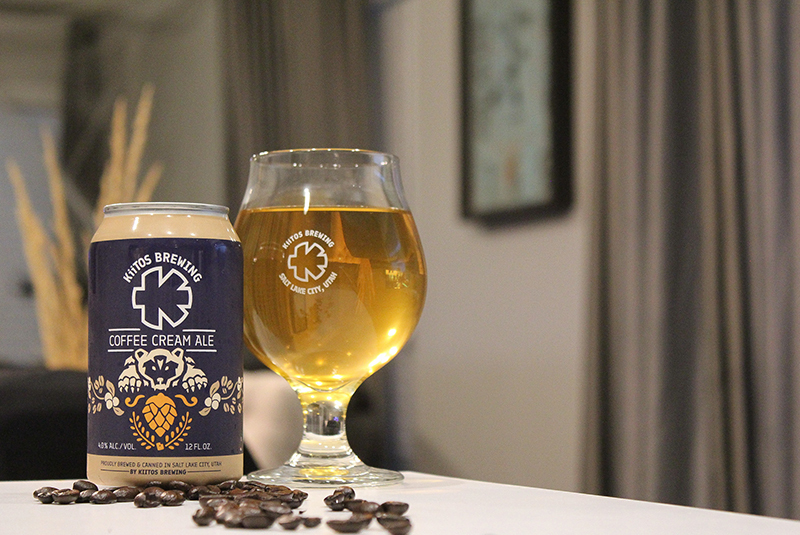 Coffee Cream Ale from Kiitos Brewing carried home a gold medal from this year’s Great American Beer Festival. As we sat among the hordes of brewery employees in the Colorado Convention Center during the awards ceremony, we were elated to witness locals receive the highest honor. Coffee Cream Ale won the top award in the competitive Coffee Beer category. “I still cannot believe it happened,” says Kiitos Head Brewer and mastermind Clay Turnbow. “It was great for the entire team to see our hard work and attention to detail pay off.” It’s impressive for a young brewery, opening up just over a year ago, to win such a prestigious award. And without a doubt, winning the craft beer equivalent to an Oscar or Grammy has certainly bumped the popularity of the beer. “We have [definitely] noticed an increase at the tavern and for cans to go,” Clay says. Kiitos’ Head Brewer reserved this recipe from his extensive home-brewing days and was pleased to offer it at the launch of Kiitos Brewing. Blending coffee with beer is not a new concept, but recently merging the two popular beverages into a lighter style of beer is gaining increased popularity. Distribution of Coffee Cream Ale expanded only weeks before the medal-winning beverage was crowned, allowing us to purchase it from our local Smith’s grocery store. Pouring a frosty 12-ounce can into a branded tulip glass presents a thin, white lining of carbonation resting on the top of the fill. Visually, Coffee Cream might throw spectators off as it pours a flawless, golden-yellow hue instead of a dark shade one might expect from coffee. The added java may not affect the color, but it is a stronghold on the aroma. Influential fragrances of La Barba coffee blend perfectly with the sweet malts. Smooth Guatemalan coffee with hints of sugary malts are picked up during consumption. This beverage is super crisp and light in mouthfeel with bright flavors, making this brew supremely balanced and refreshing—quite the opposite of darker coffee beers that generally come across on the heavy side. 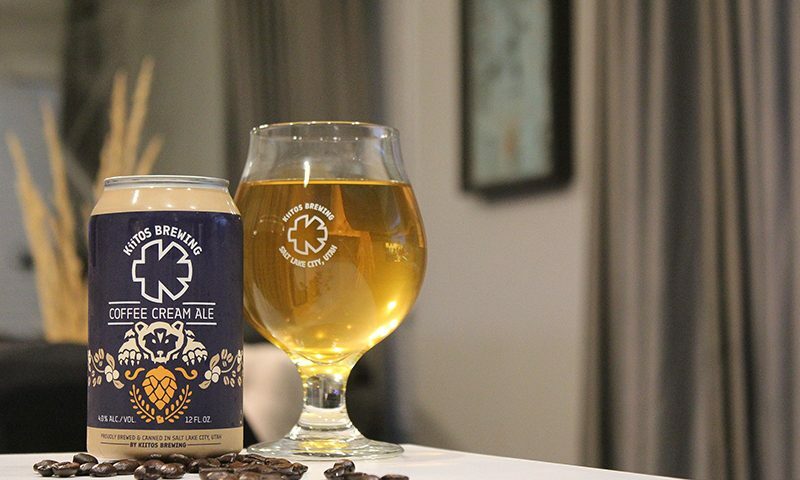 Coffee Cream Ale resembles a cold-brew coffee with just a touch of raw sugar. Kiitos entered four beers into the GABF competition. Though Turnbow was confident about the quality of Coffee Cream, he actually thought the Barrel-aged Imperial Red had the best shot at placing for a medal. We agree with the judges’ assessment that Coffee Cream Ale is one of the best coffee beers in the land. However, it is recommended and obvious with local craft beer enthusiasts that you should give any and all of Kiitos beers a try.